We only had one more course that year, in which I co-taught with lovely yoga teacher Maria, cooked and cleaned, and as it then seemed to be something worth pursuing further, I decided to be better organized for the next summer season. I was into Ashtanga at the time, influenced by the rigor and demands of my dance studies, so the one month of courses that we held in 2007 were a combination of morning Asthanga practice and afternoon usually Sivananda or some other softer practice. That was the year on which we started collaborating wth Ali, a co-dancer and friend who I knew from Scotalnd. A most interesting and charming character, Ali combined the scientific thought of an astrophysicist with the profound sensitivity of a poet. He prepared the most enticing veggie delicacies presented with a touch of poetry and a sprnkle of philosophy, just to excite the senses, for the next couple of summer seasons. I think he is still remembered in the village as the "cookis". His mission at YogaOnCrete didn't end with his culinary creations, but he also enjoyed entertaining guests, and as was usually the case, the yoga girls. On one memorable evening, one of the village men called all the others to go to the village beach, as word was out that "the cookis and the yoga girls" would be there taking a dip! It was perhaps Ali, and his coffee and raki connaissance, who first introduced me to Despina, the owner of the coffee and sweet shop in the village, who with her hospitable, motherly nature has become a favourite figure of the YogaOnCrete experience. In 2008, after having completed my dance studies, alongside new at YogaOnCrete teachers Eleana, Nikos, Malena, Chara, Alexandra and Thodoris, we introduced creative dance, taught by my dear friend Svenja, to accompany yoga on one of the courses. It was during that course that I also reconnected with Dion, my capoeira teacher from Scotland - originally Greek, brought up in the UK, teaching a brazilian art, Capoeira, and to confuse things even more, in Scotland he used to talk to me in Greek in an English speaking class which he would usually mostly address in Portuguese! This was when we also had the first Iyengar yoga workshop with Antonella, but it was not until later that most courses taught at YogaOnCrete would be in this tradition. During this time, lovely Thespina from South Africa offered cranio-sacral treatments, and I was for the first time exposed to this wonderful, healing practice. The year 2009 brought even greater growth, new collaborations with teachers, the beautiful dance therapist Eleni, who brought her joyful energy into her sessions, the gentle Dusanka, who was our resident therapist for a couple of years, and volunteers helping out in the YogaOnCrete house, as well as visits of friends and family. There are two most memorable events in 2010: the first is the meeting of dear friend and by now collaborator Dion with Victoria, who had already been at YogaOnCrete as a guest before, and had now, out of a series of coincidences, managed to join us as a volunteer (karma yogi). They -almost literally- fell in love over the kitchen sink, while washing the dishes that the majestic "maestro" chef Nikos, had spread all around our small kitchen. Both have been a great support and sources of inspiration in leading a happier life with more freedom and ease, as well as in how love in a couple can be nurtured and grow over time. Secondly, this was the year when Constantinos taught his first Iyengar yoga workshop in Sfakia, and I took the plunge into the wonderful study of becoming an Iyengar yoga teacher. On a personal note, it was this year that I dicovered the joy of jumping off high rocks into the turquoise sea at Marmara beach. The experience of a girl who was scared of jumping and was encouraged to eventually do so by a group of french kids serenading her from the water below inspired me to use diving as a practice of letting go; of fear, of darkness, of whatever was no longer serving me, of whatever was not "vast and turquoise" like the sea below. At the start of the season of 2011, I drove my red "yoga-mobile" to a small hotel in Chania, to meet for the first time a small family, that would make a lasting mark on my heart and bring new transformation to YogaOnCrete: Joshua, Federica, and little - almost one year old at the time - Maya! The magic of having a small child around was refreshing and often a source of learning for all of us. Maya took her first steps in Sfakia, and since her birthday is mid-summer, it has become a custom to celebrate it at YogaOnCrete. I guess this is how it kind of became a custom to revel in and make the most of any birthday celebration that comes our way! 2012 and 2013 brought new happy encounters and the gradual formation of the identity of YogaOnCrete into a space in which sound, authentic yoga practice is shared. One of the most significant collaborations that was initiated and continues to date was with Vaggelis, my friend and local of Sfakia, who has led the hikes on the free day of each course, offering hikers a good laugh and splendid warm-hearted hospitality, ever since. Guest teachers from abroad started hosting their own courses at YogaOnCrete: Antti from Finland, as well as Lori and Adam from the US, who actually chose Greece as their destination in order to support the failing greek economy, among other reasons. And thus we have arrived in 2015. One of the first courses of the season was led by life-coach and yogini Julie, who facilitated participants in discovering for themselves how life can be lived joyfully, one day at a time. Many faces have changed over the years, but sound personal and professional relationships have been built, with Constantinos, Federica, Joshua, Dion, Victoria, and Vaggelis now forming the nucleus of the YogaOnCrete team. This summer there was another new, inspiring encounter with a local artist from Heraklion, Giorgos Dagiantas, who scattered his colourful animal sculptures in our garden, in an attempt to prompt the viewer to ask oneself "what of myself do I see in this?". And the wonderful journey of running a yoga centre continues. In preparing for next year's celebration, I realize that YogaOnCrete is me, or rather, my baby, as I have been the only constant in the 10 years of its existence. But YogaOnCrete is also an idea and a dream (and looking back, these 10 years have really felt like an adventurous dream), which has been formed through encounters and collaborations, however fleeting or long-lasting. And this path would have been lonely if it was not made colourful and worthwhile through the experiences, the joys and sorrows, the hopes and worries, the "successes" and "failures", the mistakes, the growth, the tingles of delight and emotion shared along the way. 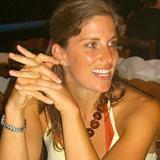 Happy Birthday YogaOnCrete, wishing you many happy returns! 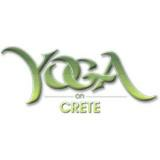 In this significant day I would like to wish you good health and further success to YogaOnCrete! Even though I've had little experience of yoga, I am happy and proud that my practical guide to magic world of yoga was such a lovely and inspirational personality like you. Many happy returns!